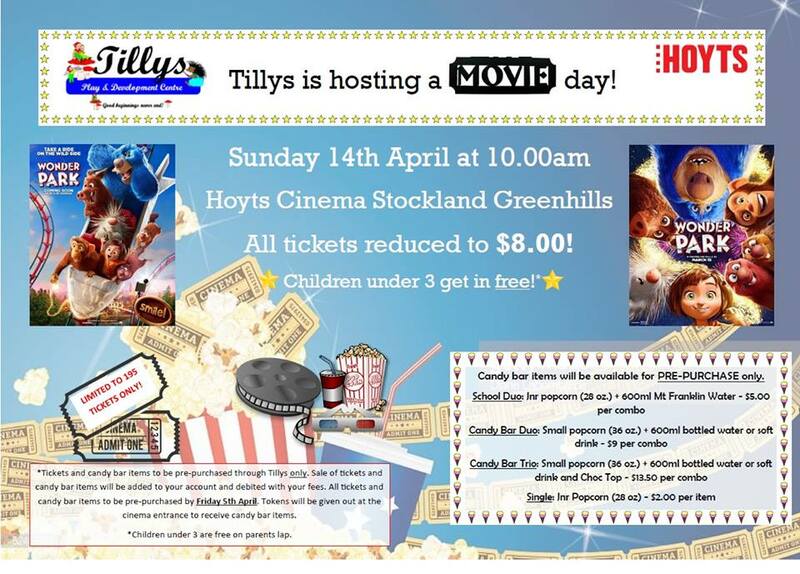 Did you miss out on tickets to our last movie day? Contact your centre director to book your discounted tickets and candy bar items today! Web Design by Seranda K. Designs. Copyright 2018 Tillys Play & Development Centre.